The Mary Katrantzou Spring/Summer 2015 Show has been influenced by a transformation of the elements from the Pangaea and Panthalassa eras. 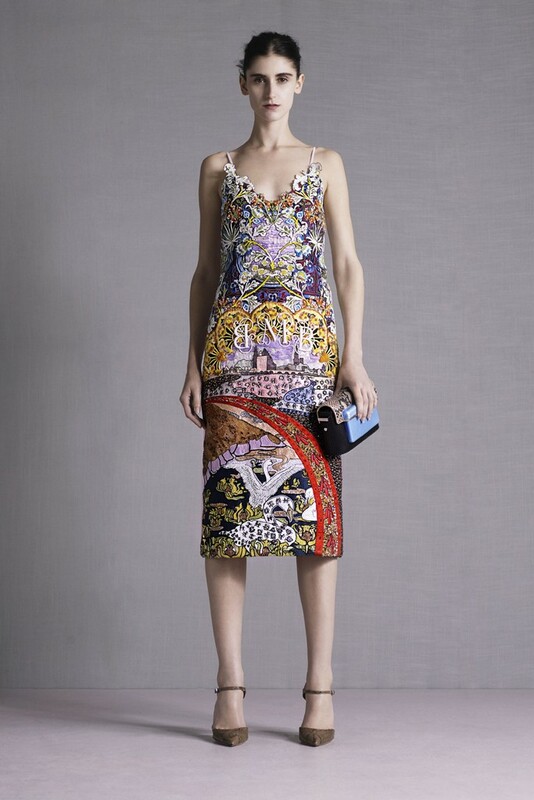 Swiss Alps have influenced prints in the Mary Katrantzou Resort 2014 Collection. Some Switzerland-inspired collections : Carven by Guillaume Henry Resort 2012 (this collection referenced a holiday in Switzerland), Elodie Garcia Autumn/Winter 2008-2009 (« Tribu / Tribe » collection), James Coviello Autumn/Winter 2003-2004 (based on a trip to Switzerland, the theme of this show was a « ’20s Alpine / Edwardian shooting party »), O.P.I Autumn/Winter 2010-2011 (« Swiss Collection by O.P.I » nail polishes), Tsumori Chisato Autumn/Winter 2012-2013 (this show drew inspiration from Swiss holidays). 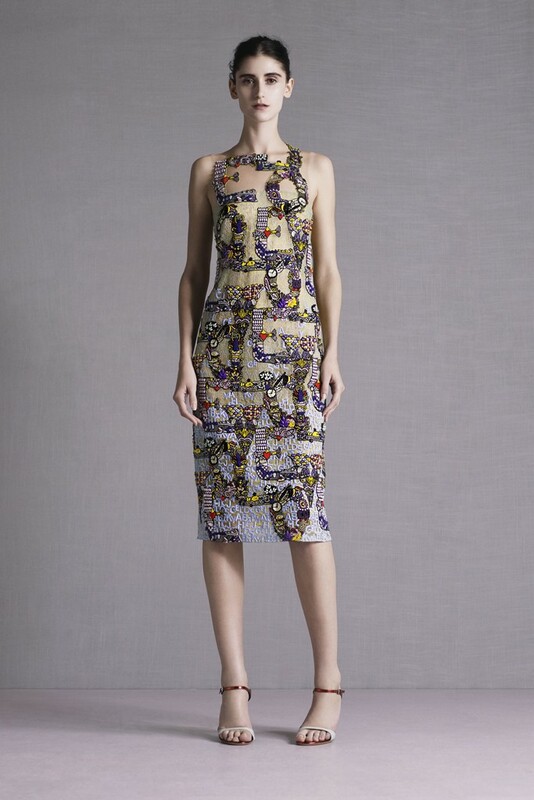 Apartment towers in São Paulo inspired prints in the Mary Katrantzou Resort 2014 Collection. Another São Paulo-influenced collection : Alexandre Herchcovitch Autumn/Winter 2009-2010 (this collection was based on big cities that have expanded in chaos, such as São Paulo). 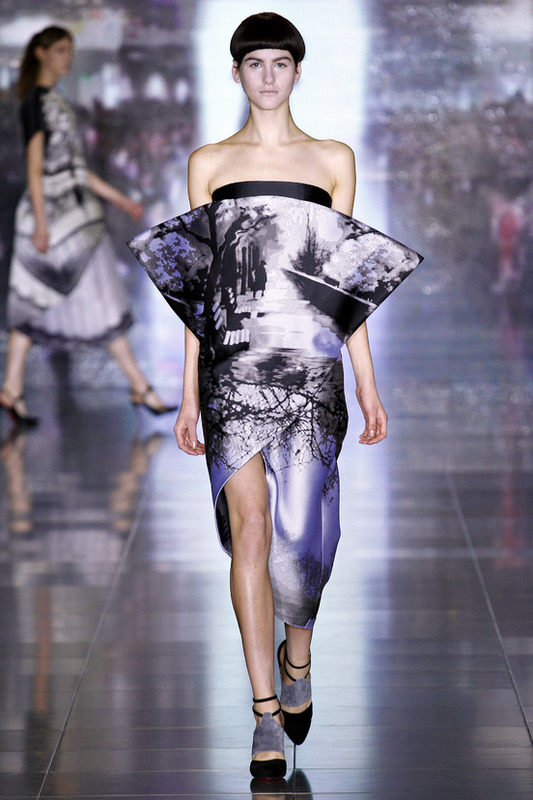 Alfred Stieglitz’s pure photographs inspired the Mary Katrantzou Autumn/Winter 2013-2014 Show.